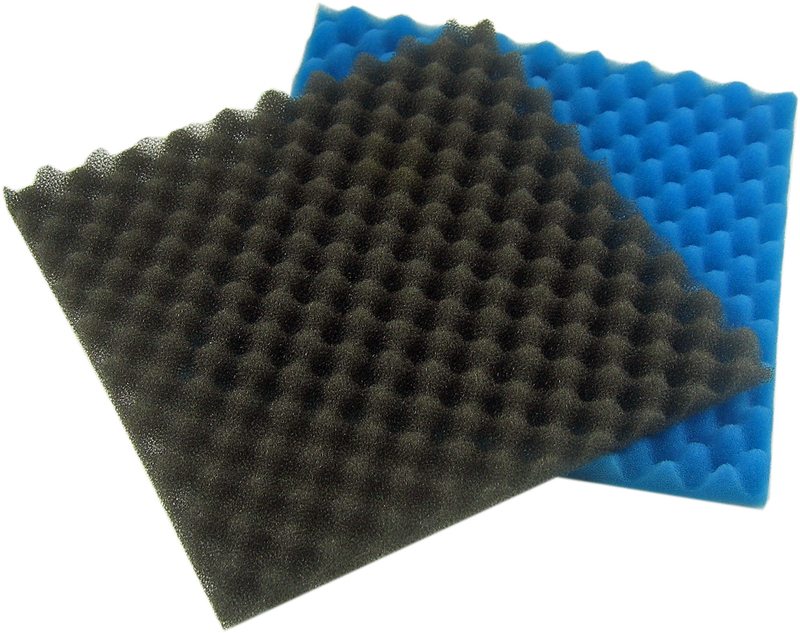 These replacement foam filter pads will fit many pond and aquarium filters on the market. Easily cut to fit a wide variety of filters. Sold in pairs 1 each coarse and fine pore. Original replacement foam for Pond Care 750 filter. Q: Come with black n blue filter? A: It did come with both but we no longer have that item. It has been discontinued.